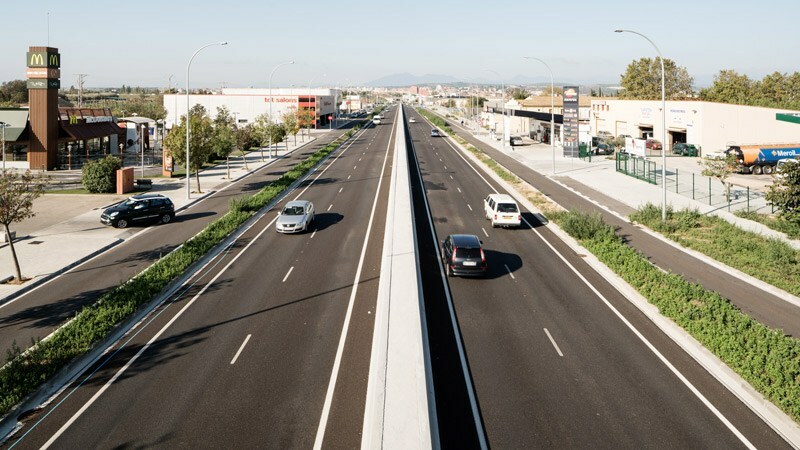 » Portfolio » Widening of the C-260 road. 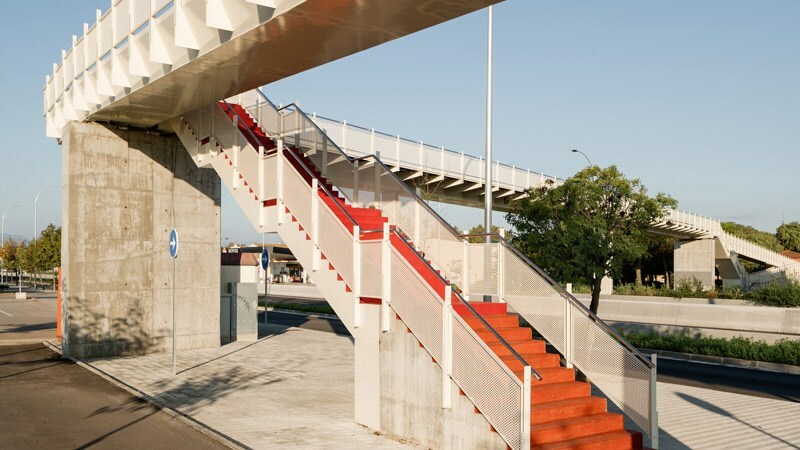 Section Figueres, Girona. Spain. Widening of the 750 m long section of C-260 road, from the junction with N-II road to the roundabout in Vilatenim. 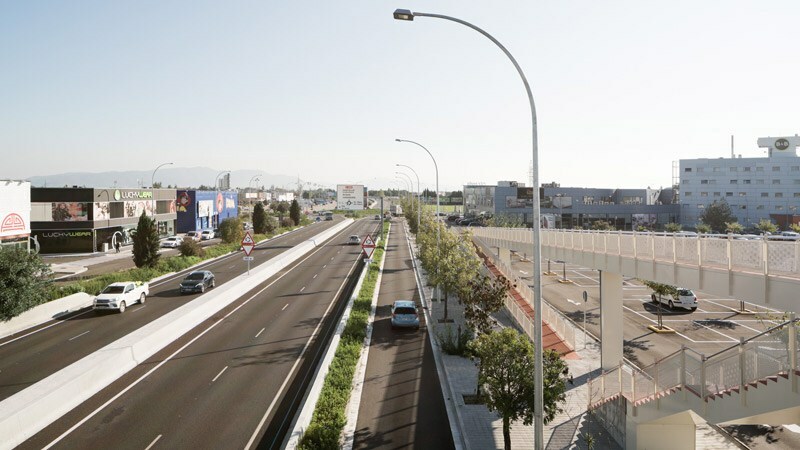 Central road: consists of two 3.20 lanes with an internal 1 m shoulder and an external 1.5 m shoulder, and a center line composed of 1.6 m rigid New Jersey barriers. Lateral roads, at each side of the central road, 6 m, 4 of which are part of the traffic lane and 2 of which are part of the parking area. The sidewalks will be executed from the lateral roads. 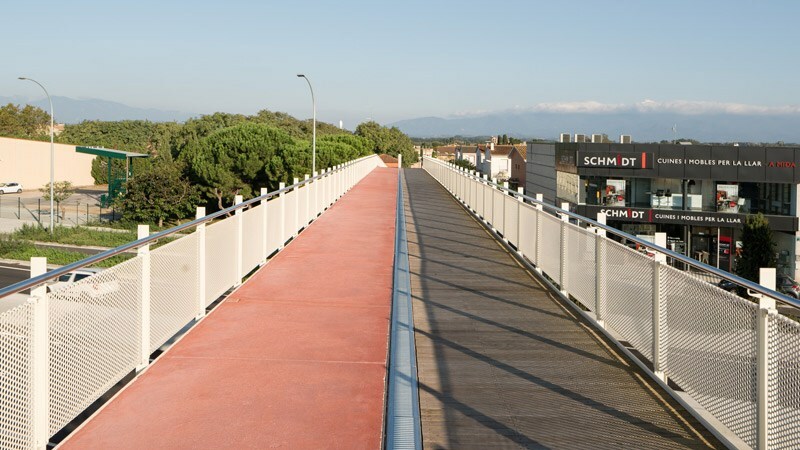 Walkway for pedestrians over the road, with a central section measuring 24 m long and two lateral sections measuring 18 and 14 m; 3.60 m wide, half of which will be floored in wood and the rest in asphalt pavement. 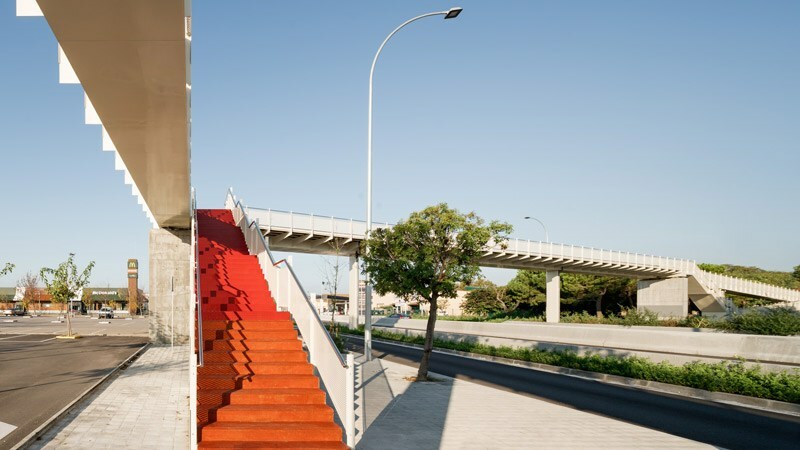 Execution of ramps and staircases in each side of the walkway. • A 30 m of external diameter roundabout and an 8 m ring road. a 2 m garden area and a 2 m bicycle lane on the other side. 2.75 m sidewalk and another sidewalk of approximately 6 meters. Northern road measuring 240 m long, which consists of a 4 m lane and a 2 m sidewalk. 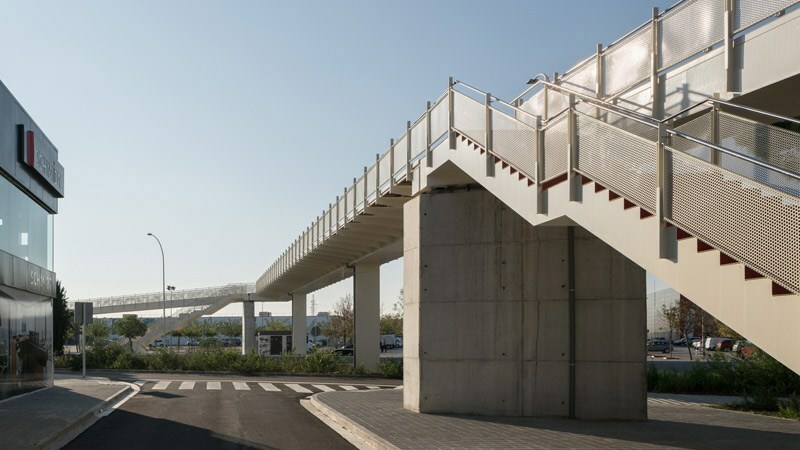 Noticeably perpendicular to C-260 and parallel to N-II, it is placed at the beginning of the works, and follows the northern lateral road of the widening until the old Vilatenim road.